Five years ago we launched our very first espresso blend which utilised a pulped natural coffee from Brazil, Fazenda Passeio, with a fully washed coffee from Costa Rica, Cafetalera Herbazú. We’ve used this original blend as the inspiration for our most recent version, and while the components have some similarities, the approach we take to roasting has evolved somewhat . . . While the approach we take to roasting has changed, our core principles and beliefs have remained consistent. When a customer drinks our coffee they should get a sense of its origin; it should reflect the combined efforts of all those involved in growing and processing the coffee bean. Our role is to ‘not mess it up’. We still buy the majority of our coffee through our broker, Mercanta. The relationship we have with them, and in particular our main contact, Stephen, has helped lift our roasting to the level it exists at today. Emails, phone conversations and the occasional face to face contact, has enabled a level of understanding and mutual respect which mirrors how we aim to work with our customers. Stephen knows what coffee we like, has secured some outstanding lots for us and occasionally breaks down prejudices2. From the outset we merged the precise use of measurements and data with less objective methods, such as taste. This aspect of our business has grown beyond the basic pencil and paper method we relied on in those early days. 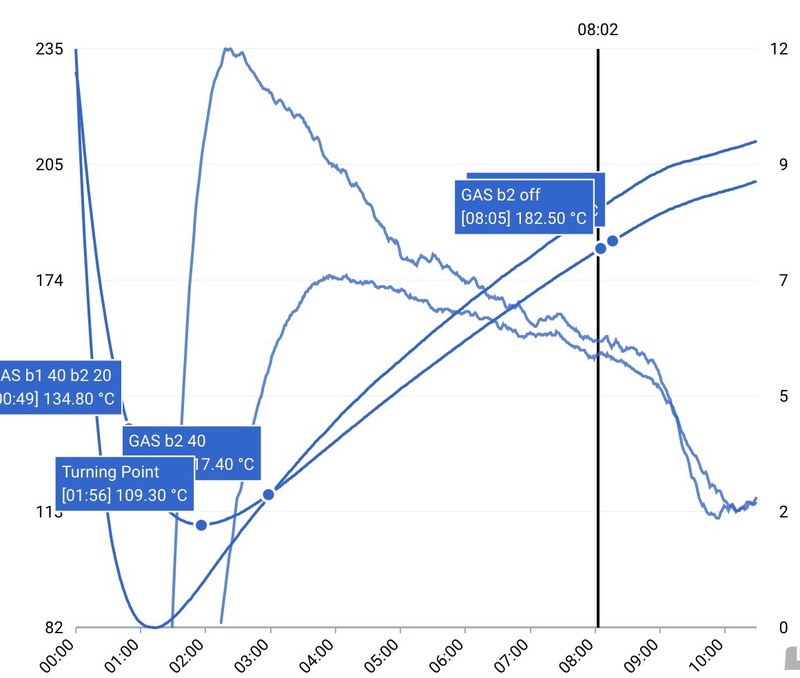 A second, more accurate probe has been added to the roaster, new controls on the burners allow a greater degree of accuracy and new gauges allow us to quantify the energy we apply to the roast. Each of these additions has come about as our understanding has grown; we have created a coffee roaster specific to what we want to achieve and we still have plans to develop it further. Every roast is now tracked by software though we still rely on pencil and paper to scribble down notes and comments on each profile. When we take delivery of a new coffee we now plan our approach in much more detail. As well as information provided by our broker in terms of varietal and altitude, we also take our own measurements of green bean moisture and density. We can delve into our database of similar roasts to help us determine how best to roast that first batch. A big development which occurred soon after we started was a realisation that only one of us was really going to be good at roasting coffee. All our coffee is now roasted by Angharad and while I have a strong input into creating the initial profiles, I actually spend very little time around the roaster. Angharad has the concentration span and attention to detail that I do not possess and these traits have helped her produce some amazing coffees. Once a coffee is roasted it undergoes more rigorous examination and this is again an area we have developed over the years. The impact of water on coffee was something which caught our attention way back in September 2012 and we wrote a blog post which summarised our thoughts. 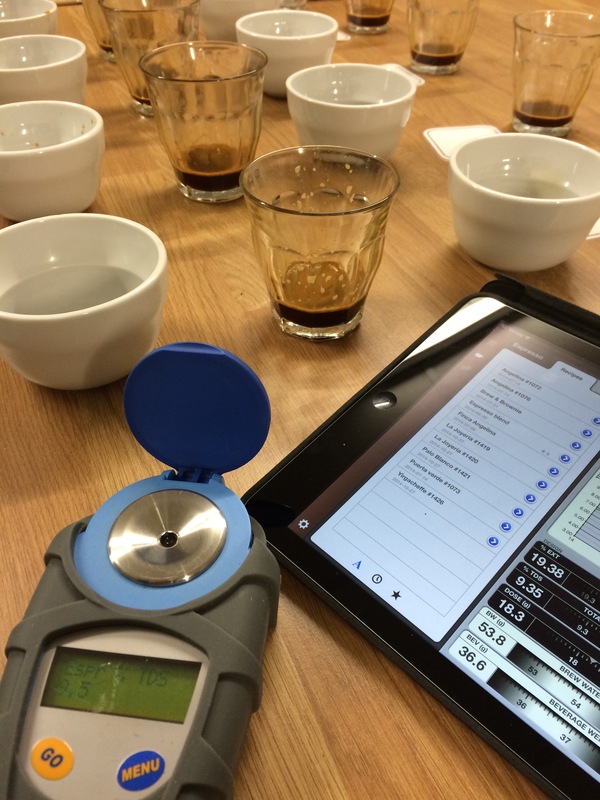 We revisited this again in December 2015 with another couple of posts and by today we have developed a very good understanding of the relationship between water and coffee. We now create our own ‘ideal water’ to ensure all our cupping takes place under the best conditions possible; we believe that some types of water can hide defects in the roasting and we want our coffee to be enjoyable and accessible no matter where you are located. This desire for our coffee to be accessible to all leads us on to another characteristic of our coffee which might not have existed in those early days3. We want our coffee to be ‘well developed’. In simple terms we want it to extract relatively easily for the end user. We feel there is no point producing a coffee which is difficult to handle. 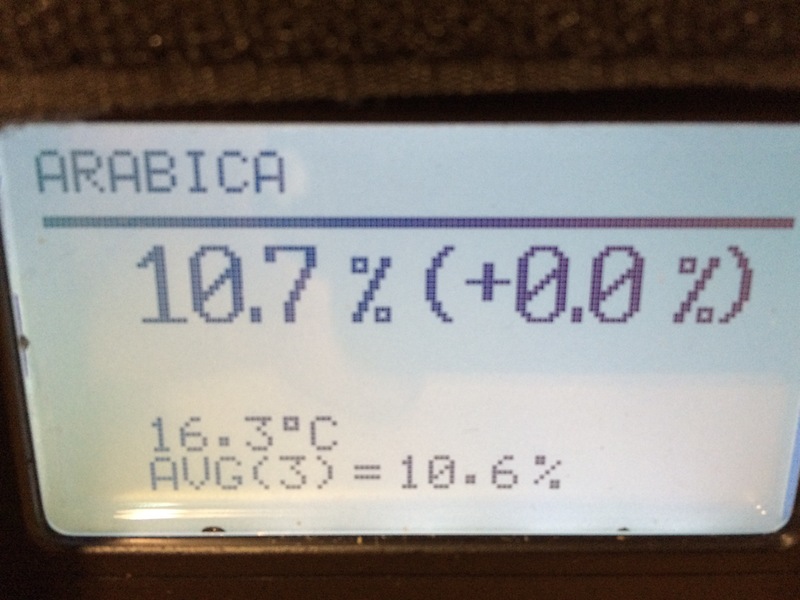 We are even at the stage now of testing the solubility of individual components in a blend – there is no point in roasting a couple of amazing coffees if they each extract differently when combined together4. 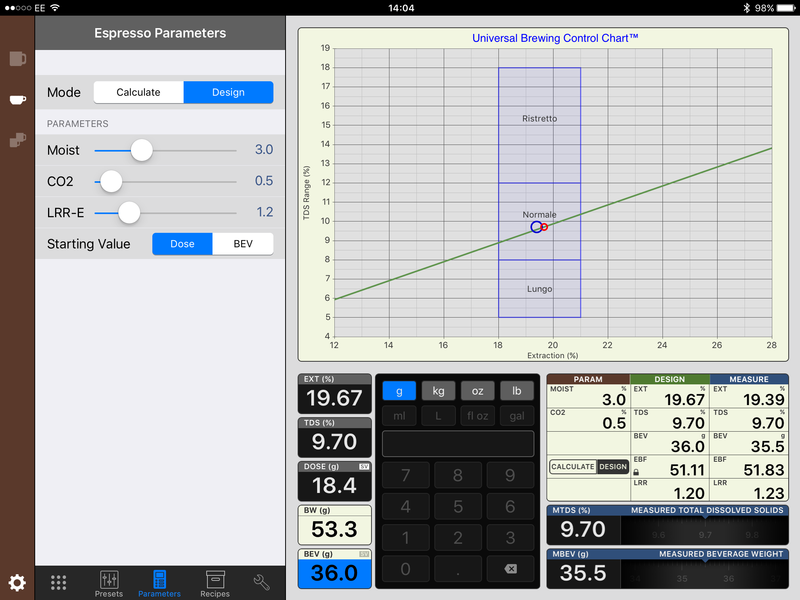 Developing our espresso blend is becoming more complex as we aim for higher and higher standards. In 2011 we embarked on a journey of discovery and along the way have been fortunate to foster some amazing relationships; we’ve had bad times, we’ve had some amazing ones and we’ve enjoyed some delicious coffee along the way. We laid out our principles on day one and have pretty much remained true to those early beliefs. We’ve never sold a bag of ground coffee! A simple enough statement but one which was difficult to adhere to in those early days. Losing sales because of a principle can be hard but I’m glad we managed to battle through. Even today, with so many new roasters emerging onto the scene, all keen to make a sale, it would be easy to lower our standards. But that’s just not the Carvetii way.